With hyperMILL?, both simple and complex geometries can be programmed efficiently. Workpieces can be completely machined in a single setup thanks to the broad range of machining strategies. The advantages: continuous and more efficient processes, reduced processing times and higher reliability. 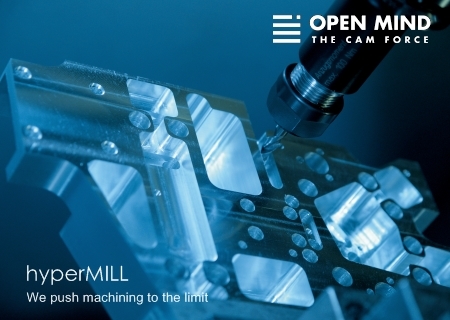 In addition, hyperMILL offers several options for automated programming, reducing machine cycle times and optimising processes. Examples of this include sophisticated feature and macro technology, automated functions such as mirroring and transforming, functions that minimise auxiliary processing times such as job linking or production mode, and fully automated collision checking and avoidance.